Bruce has enjoyed a national reputation for 40 years as both an effective advocate and a pioneer in a constructive approach to divorce. 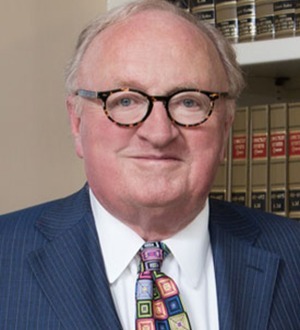 Since 1977 he has had the highest rating a lawyer can have in the standard lawyers’ directory, Martindale- Hubbell, and has been listed in national publications among the top divorce lawyers in the country. Bruce’s paralegal/assistant, Kathy Semeraro, has worked with him since 1998. Bruce resides in West Hartford with his wife, a psychotherapist-Episcopal priest. They are the parents of three children and the grandparents of three lively grandsons. Listed in Town & Country Magazine among top 88 divorce lawyers nationally (1985).